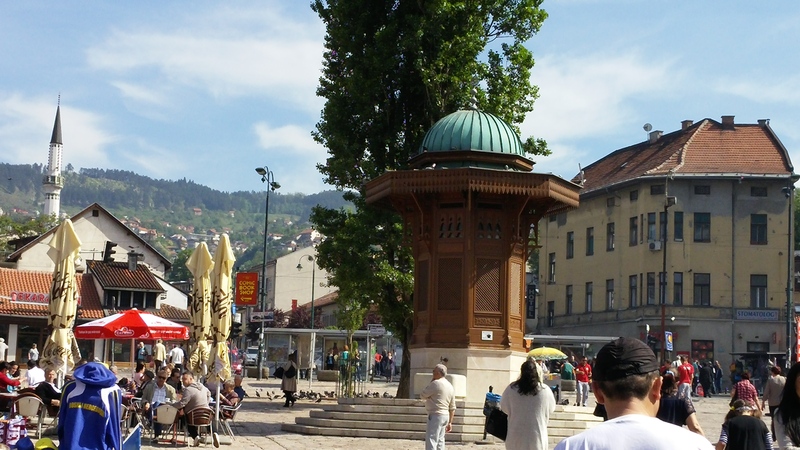 Sarajevo Backgrounder: This city is unique for its traditional cultural and religious diversity with four religions (Orthodoxy, Judaism, Catholicism and Islam) co-existing under one umbrella for centuries. In addition to being the cultural epicenter of the Balkan Peninsula, the city has a dark past which has left a great impact on contemporary political practices. It is in this city that the first world war was triggered with the assassination of Archduke Franz Ferdinand and his wife Sophie on the 28th of June, 1914. The perpetrator was Gavrilo Princip whom had been a member of a Serbian society whose main objective was independence from the Austro-Hungarian empire. The culmination of the first world war would come with Bosnia and Herzegovina being integrated within the Kingdom of Serbs, Croats and Slovenes until the beginning of the Second World War which would bring German Occupation into the region. Sarajevo was liberated from the foreign occupation by the Partisan forces on the 6th of April, 1945, and with this liberation the nation became a member of the Yugoslav community. Sarajevo was once again restored to its former glory. The city hosted the 1984 Winter Olympics which brought in great foreign investment and tourism to the city. It would not be until the disintegration of Yugoslavia that Sarajevo would once again fall victim to a three year long siege. The memories of this war would leave a permanent mark on the city, its culture, political practices, and the economy. For a more detailed timeline of Sarajevo please consult the City of Sarajevo website. Tourist zone: Upon entering this city the experience is like none before. 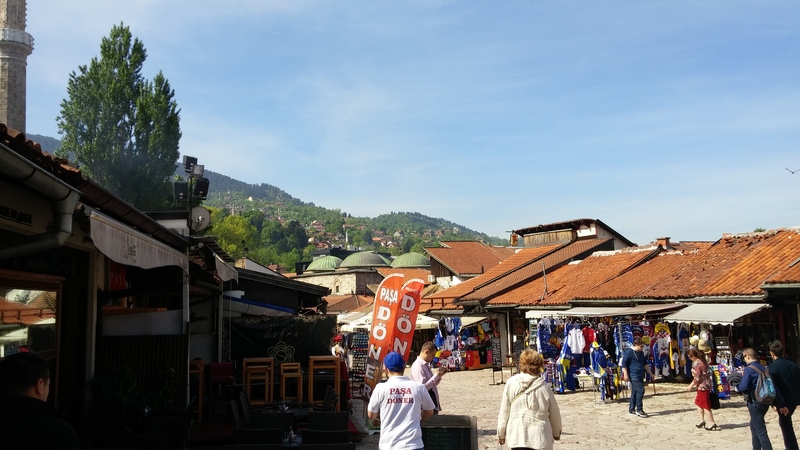 We began our journey by walking along Sarajevo’s bazaar “Baščaršija.” This is the epicenter of Sarajevo’s cultural and historical heritage. It is a long walkway comprised of stores one beside the other selling souvenirs from Turkey and the Middle East, you can find anything from a hookah to a pair of woolen slippers to keep your feet super warm during the long Canadian winters. Baščaršija is where you will see the most tourists exploring the city and visiting all the typical tourist destinations. 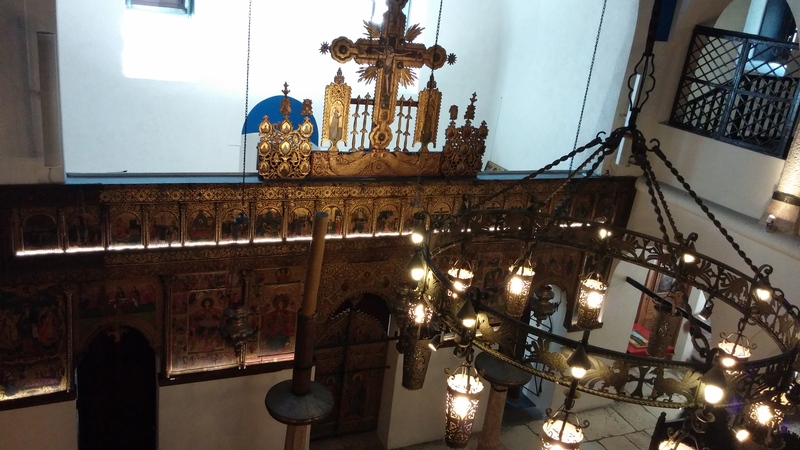 I met a wonderful couple from Argentina while visiting the Old Orthodox Church in Sarajevo, so you never know who you will stumble into in this marvelous city. 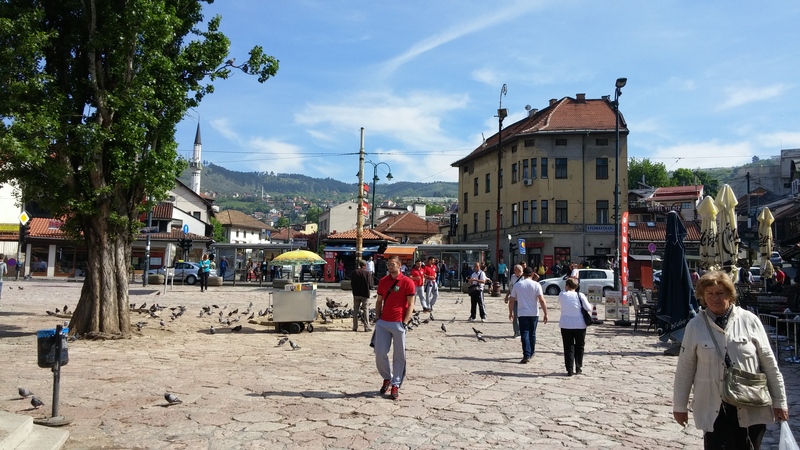 Staying focused here are some of the must-see spots while passing through Sarajevo. The Vrelo Bosna is a public park where most locals go to get away from the bustling city for a quiet weekend retreat with their loved ones. This is also a very popular spot for sports addicts whom would like to go canoeing along the River Bosna, running, hiking, biking, as well as some hard-core munching(that’s a sport too) at the lodge. The Old Orthodox Church is built on foundations dating back to the 11th century. 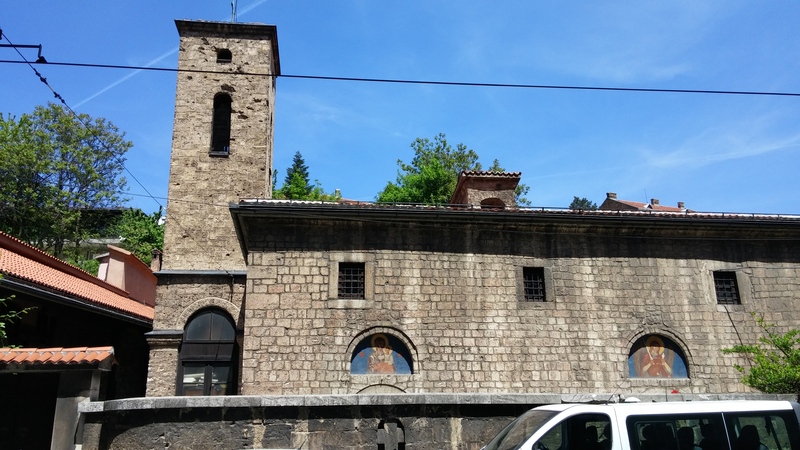 This church also features the best wine from the Tvrdos Monastery (Herzegovina) which is highly acclaimed by locals and tourists alike for having a sweet and smooth texture. For nature lovers Trebević, Bjelašnica, and Igman will be your haven. 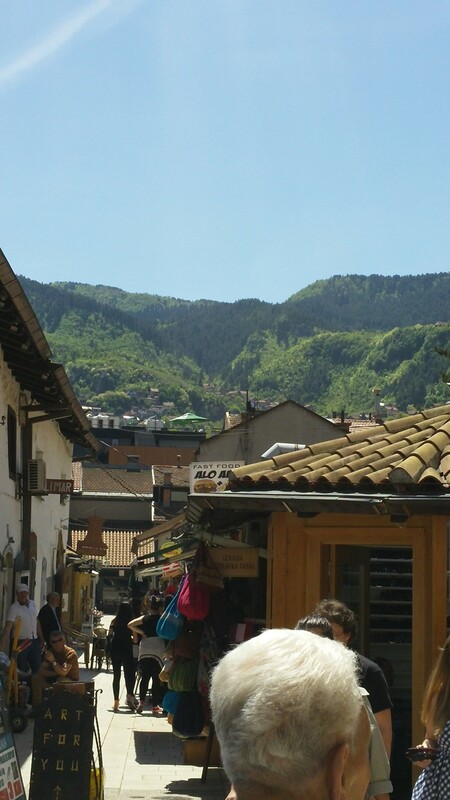 Although Trebević is located in the eastern part of Sarajevo and has a reputation for having been the ideal position for military sieges during the Bosnian wars in the early 90s, the mountain has been transformed to resemble a city progressing towards contemporary standards. The latter two mountains are ideal for hiking and biking, while passing through what remains of the 1984 Olympics. Unlike travelling in Belgrade we only had one day to visit Sarajevo therefore, we did not have the privilege to try as many restaurants. Nevertheless, one restaurant we did visit left an outstanding impression on us: Bon Apetit. This quaint restaurant offered exceptional service with an amiable atmosphere. With a menu inspired by international and local cuisine the food is prepared based on the typical European standards of excellence. Once dining here you will feel like a local “Sarajlija.” For more tips on what to see and eat please watch the video below.